Absolutely amazing staff! They are the best at what they do and they do an AMAZING job! They are extremely thorough and take the time to explain everything without making you feel too overwhelmed! I absolutely love them! This was my first visit, but everyone in the office was extremely nice and helpful. They made you feel very welcome and comfortable. I will look forward to getting to know them all by name and getting to know them better. Jen was very nice and explained things well. Dr. Hart spoke with me and was very pleasant to talk to . I would recommend Dr. hart and all his stff to anyone needing dental services. They take the time to explain things, and do not rush you in and out. Very Good People! Everyone at Hartford Dental is always friendly and very knowledgeable. They explain what the are doing and always perform treatments without pain. Dr. Hart has done crowns, fillings and implants for me, and I am very satisfied with his work. Dr. Kirby Hart and his staff at Hartford Family Dentistry provide excellent care in an environment that ensures patient comfort. He strives to create a warm, inviting, comforting experience to place patients at ease. He and his staff provide thorough dental care with top technology and gentle touch. I look forward to my visits and know that I am getting the best care for my dental health. . I couldn't be more pleased with Dr Hart and his staff. From the day I made the call to schedule my appt to my first visit, they have made me feel like I was in the best of hands. I went in and had a tooth extracted and felt no pain. He was very respectful and considerate of how I was feeling, because I was terrified, and the staff helped to keep me as comfortable as I could be. Thank you so much!!! "I give them 5 stars. I am usually very apprehensive about going to the dentist even if just for teeth cleaning but everyone makes you feel very comfortable here. Don't mind going at all now. I have an appointment this week and not dreading it at all!!!!!!!" Everyone was helpful and kind, beyond expectations; concerned with my needs and questions. Very pleasant atmosphere, no push or pressure to make any immediate decisions. 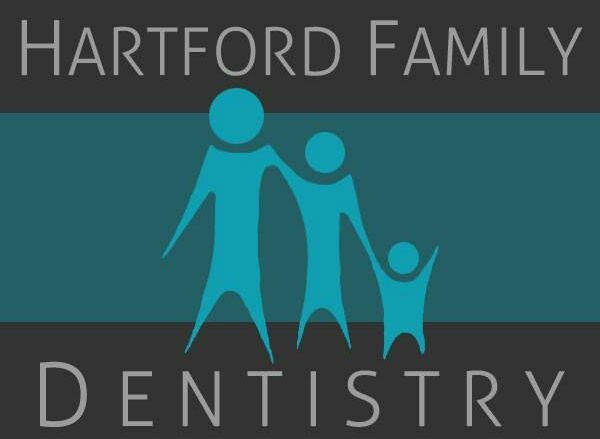 Everyone at Hartford Family Dentistry is friendly and welcoming while providing professional service. Jen is one of the best dental hygienists I've ever had - and Dr. Kirby has always worked with me for the best service for my situation and explained finances upfront. I've grown very fond of everyone in the office from Tara and Geraldine in the front office to the techs in the back! I am looking forward to having a great smile when y'all are done with me! Dr. Hart and his entire staff are warm and welcoming. They take time to get to know their patients and go that extra mile to ensure the experience was a pleasant one. I highly recommend Dr. Hart, Jennifer Henry, and the entire staff at Hartford Family Dentistry to anyone looking for a dentist.